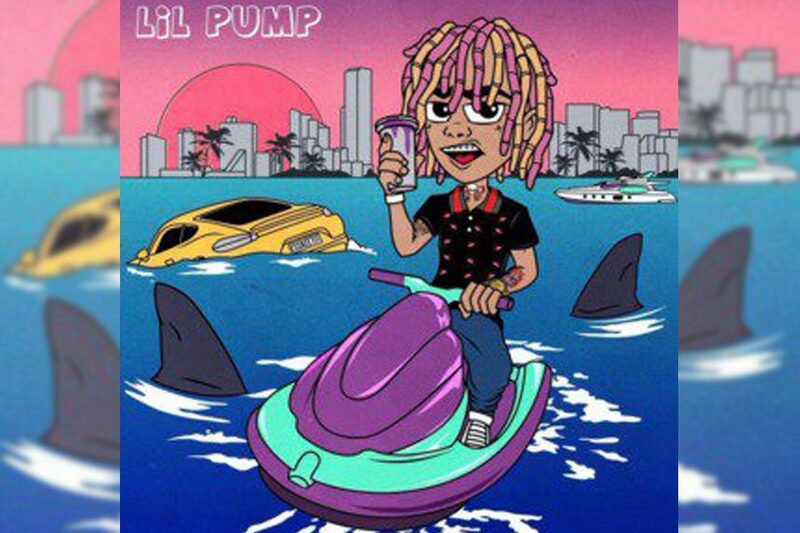 Popular Soundcloud rapper Lil Pump released his debut self-titled album “Lil Pump” Oct. 6, which reached as high as number three on the Billboard 200. Lil Pump got his start on Soundcloud in early 2017, and has gained notoriety on the internet for his energetic songs, along with his eccentric personality. Spread out across 15 songs, the album is 33 minutes long and features Lil Yachty, Gucci Mane, Smokepurpp, 2 Chainz, Rick Ross and Chief Keef. Most frequent of the featured artists being Smokepurpp, who appears on three songs but doesn’t do a whole lot to improve the overall sound of the album. Smokepurpp and Lil Pump sound similar at times, and in the song “Smoke My Dope” one could easily confuse the two. Frankly, this album is not good, because of its lack of creativity and sloppy execution. The beats are loud and bombastic, like in the song “D Rose” which starts off ear-bleedingly loud with gunshot noises that are twice as loud as the rest of the song. The bass in this song is grainy and jagged as if the sole purpose is just to break speakers. It is also the most repetitive, with 70 percent of the lyrics being the same seven words. Did you enjoy the Lil Pump Album? Having loud, bass-heavy beats isn’t always bad, but stack that on top of nauseously repetitive lyrics and the album is a flop. Lil Pump has the same energy and flows on every track, with little diversity in his delivery. The only things Lil Pump talks about on this album are drugs, women, money, and violence. Lil Pump’s performance at the start of the song “Molly” is the high point of the album. He goes super hard on the first verse, with an aggressive delivery that makes him sound almost angry. Though the lyrics have little substance, the way he delivers them makes this song stand out. The album is barely worth a second listen. It is best suited as loud club music, which it will likely be used for. Listening to the whole album is not a fun experience, but listeners will have to see how Lil Pump handles the success of this album as he continues his presence on Soundcloud.